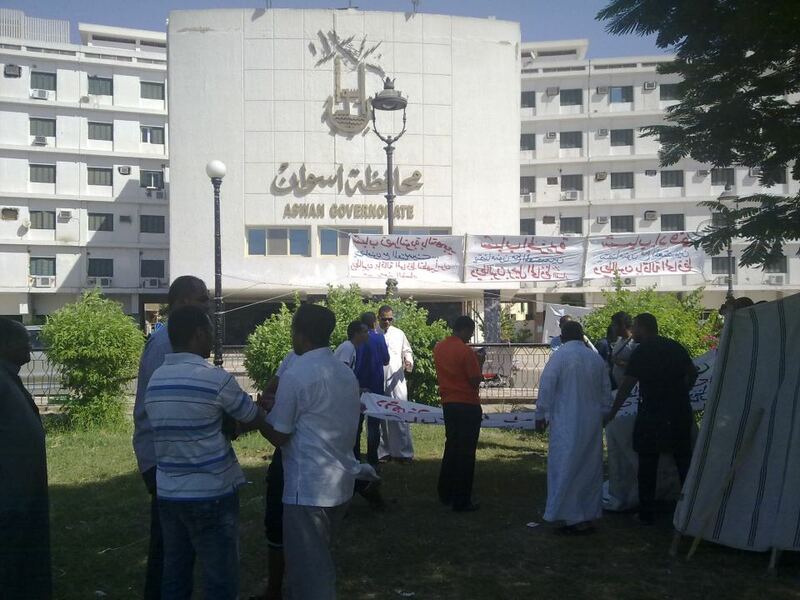 Demonstrations in Aswan have escalated, demanding the resignation of their governors who have been accused of corruption, neglect of their duties, wasting public money and other offences. Between 50 and 100 have participated in a sit-in over the last 12 days, also asking for the resignation of their governor, General Mostafa Al-Sayed, who is believed by the protesters to be responsible for the burning of a church which was the catalyst for the Maspero violence last year. Mamdouh said he holds the governor responsible for a number of other civic issues, including the absence of reliable electricity supply in Aswan, sewerage in the streets and the high incidence of liver failure, especially in Abu-Alreesh, due to industrial and chemical waste dumped in the Nile, the only water source for many inhabitants. The media representative of the governor refused to comment on the sit-in and the accusations.